KINSHASA, 6 March 2008 (IRIN) - The violence that has claimed several lives in southwestern Democratic Republic of Congo, after clashes between a religious sect and the national police, could spread further, local activists and officials warned. "We are very worried because the violence seems to be getting worse and to be spreading from the east to the west, which had been more or less peaceful," said Dolly Ibefo, a human rights activist with the NGO Voice of the Voiceless, based in the capital, Kinshasa. Simon Mbatshi Mbatsha, governor of Bas-Congo, said provisional estimates indicated that 24 civilians were killed on 4 March ? most shot dead during clashes between followers of the Bundu Dia Kongo politico-religious sect and police, deployed from Kinshasa. The toll, he said, could be higher if the killings that occurred days earlier in some parts of the province such as Seke Mbanza and Luozi, a town of 50,000 inhabitants roughly 200km southwest of Kinshasa, were taken into account. Another three suspected sect members, the governor said, were reportedly beaten to death by the local population after they were accused of mutilating a policeman. "We are very worried because the clashes involve unarmed civilians and an armed group who happen to be the police," Ibefo said. "The violence has another dimension because almost all those killed were shot dead and their houses burnt down by those with fire-arms." He blamed the government. "The government is in the process of cultivating violence where it did not exist before," he said. Bundu Dia Kongo, which means "Kingdom of the Congo" in the language of the region, counts among its objectives the emancipation of traditional African or Congolese culture, and demands the restoration of the former Kingdom of the Congo. Its followers have set up tribunals to try citizens they believe have broken the law, sentence them and beat them if guilty. They have also set up a kind of police force called "Makesa", who are armed with whips and consider themselves part of the national police. Occasionally they lower the national flag to hoist their own. "The government should resolve the problem politically. After all, if a solution is not found there will be demands made in ways other than through the Bundu Dia Kongo," Dinzolele Nzabu, Catholic bishop of Luozi diocese, said. "Theoretically, the government should re-establish state authority, but the manner in which it has proceeded is disproportionate." Last week, Catholic and Protestant bishops signed a declaration with the spiritual leader of the sect, Ne Mwanda Nsemi, pledging to bring the violence to an end. According to Nzabu, certain demands made by the sect are legitimate, such as that the oil extracted from Moanda, a town in the far west, be used to address under-development in the area. The Bas-Congo Province, he added, contributed more than a third of the national budget but the central government had still not managed to return 40 percent of revenue generated by the provinces to Bas-Congo. "It is not fair for Bas-Congo or for other provinces," Nzabu said. "The government should find a political solution rather than allow the recriminations to go on. Sooner or later they will reappear with more force." Alan Doss, special representative of the UN Secretary-General, also appealed for dialogue between the different parties to resolve the problem during a visit to the area last week. But the DRC Interior Minister Gen Denis Kalume said he had sent police reinforcements to Bas-Congo to restore order and protect the local population from the violence perpetrated by the sect and re-establish the state's authority. Nsemi, who is a member of the National Assembly, instead accused the government of plotting to make the Bundu Dia Kongo a scapegoat. "They wanted to avoid holding the Bas-Congo conference - called for after [the January] Goma conference - [by provoking] these disturbances and attributing them to Bundu Dia Kongo in order to say that security conditions do not allow the conference to be held," he said. "The government shelled Bundu Dia Kongo prayer centres using rocket-launchers," he claimed, although the government denies this. "We could not shell the population. On the contrary, we are there to work with the people for the people," the minister said. 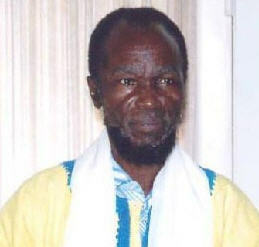 Ibefo of Voice of the Voiceless insisted that the government action had followed three years of repression of the sect. "Since 2006, their actions have been repressed ... you will recall that at least 250 people, mostly civilians, were killed in February 2007," he said. The number of those killed was revealed in a UN Mission in DRC (MONUC) report, which denounced the use of disproportionate armed force against the Bundu Dia Kongo.